One important way to become empowered in the journey of recovery is to understand the words other people use in the mental health and addiction fields every day. People in recovery have done a lot to change the language that is used to describe experiences, and the options. A traditional approach based on the person not drinking or using drugs at all. Abstinence-based recovery can be more demanding to maintain, but offers a clear definition of recovery. For some non-substance use addictions, like food or shopping, abstinence might not be possible. An advocate is someone who speaks up against stigma and discrimination. An advocate can be anyone willing to advocate for themselves, someone else, or a cause. Community supports refers to resources that are available to you in your own community, such as school, church, etc., which are not specifically therapeutic. They can include 12-step and other peer programs, your resident assistant (R.A.), school counselor, clubs, etc. If you are eligible, the state also offers programs such as supported employment, supported education, and supportive housing. “Dual diagnosis” is used to indicate that a personal has a mental health disorder and an addiction disorder. This term is also used to describe someone with two or more co-occurring mental illnesses. If you are unsure about how the term is being used in a certain instance, ask for clarification. There are treatment options for individuals with dual diagnoses, such as IDDT – integrated dual disorder treatment. 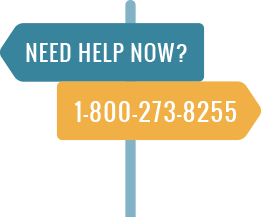 If you don’t know where to go for help, then reaching out to a crisis resource like a hotline, or a person you trust who can either help you directly or help you find resources. If you are thinking of harming yourself, suicide, or are otherwise afraid for your life or your safety, that can be described as a crisis. There are steps you can take and resources you can use to get through a crisis (“intervention”) or avoid a crisis (“prevention”). A diagnosis is a definition of what you are struggling with emotionally, psychologically, or behaviorally. It is common to have more than one, such as depression and anxiety. A diagnosis is determined by a mental health professional and helps your treatment team assess what treatments might relieve your symptoms. When you or your provider decide that you are ready to stop receiving treatment or services from a hospital , agency, or organization, you will need to create a discharge plan. This is a plan that will be designed by a staff member for your departure or end of services. A discharge plan should connect you with the next agency or service you will receive. This is created to help you maintain your recovery from your addiction and/or mental illness, and create a continuous level of care. Harm reductions recognizes that addiction recovery can happen in stages. To practice harm reduction, you reduce harmful behaviors like cutting back on cigarettes; having one instead of four. This is a term used mostly by professionals in the mental health and addiction fields, to describe supports we can use – like our families, friends, faith-based communities, and other people already in our lives. A person with a mental health and/or substance use and addiction. Peers can be a wealth of information and wisdom when it comes to treatments that are available, procedures for accessing services, dealing with stigma, and ways to self-advocate. What defines others as peers is personal, first-hand experience-not a note from a professional. Read about peer support programs here. An expected outcome or prediction that your clinician will make regarding your chances of recovery and potential for regaining a better quality of life. Your professional may base your prognosis on the age of onset of your illness, when you began receiving treatment, the quality of support systems you have, and the overall rate of recovery for people with your specific diagnosis. Recovery from mental illness or addiction is possible! “Recovery” may mean that you’ll never experience that dark place again, or it may mean that you’re learning how to live a happy life despite these obstacles. When you’re in recovery you are able to pursue life goals, have a job, go to school, and participate in the community while managing your symptoms and treatment effectively. A Sponsor is a person in recovery from an addiction like alcohol and drugs who is working a 12-step program. A person in recovery can ask one of these people to be their sponsor, someone to guide them through sobriety. This support is based on 12-step programs; which are available nation-wide and are run by dedicated members, not paid clinical staff. 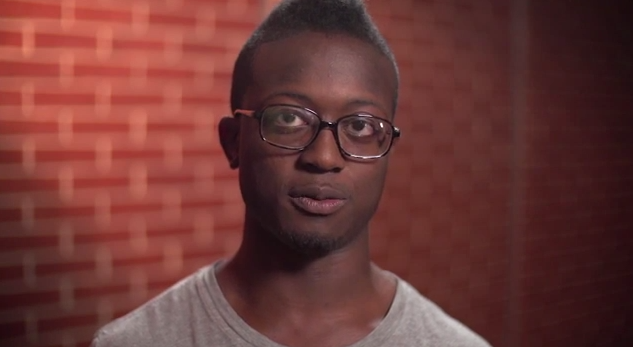 Watch our other Recovery Poetry videos. “Treatment” refers to services provided by a therapist, psychiatrist, or other professional working in a clinical setting. Treatment can include traditional methods such as talk therapy and prescribed medication, and can also refer to innovative methods such as Repetitive Transcranial Magnetic Stimulation (rTMS) or Eye Movement Desensitization and Reprocessing (EMDR).